43005 speeds through the snowy landscape at Ashbury Crossing, Shrivenham on 7 January 2010 with what is presumably the 1C13 12:00 Paddington to Bristol Temple Meads First Great Western service. 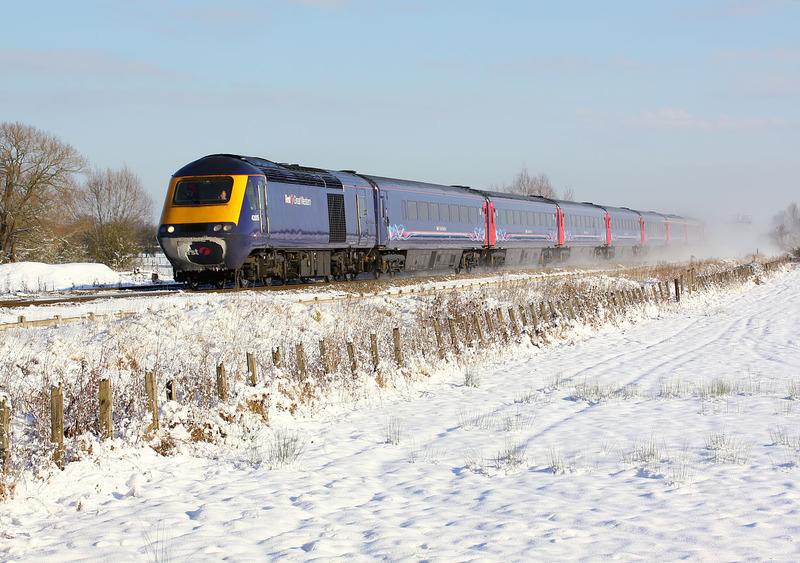 It is not that easy to positively identify HST services during periods of bad weather, when late running is the norm. First Great Western were actually canceling some services due to the weather. principally those going to Cardiff. Note how the caked on snow on the front end has mostly fallen off at some point in the journey.